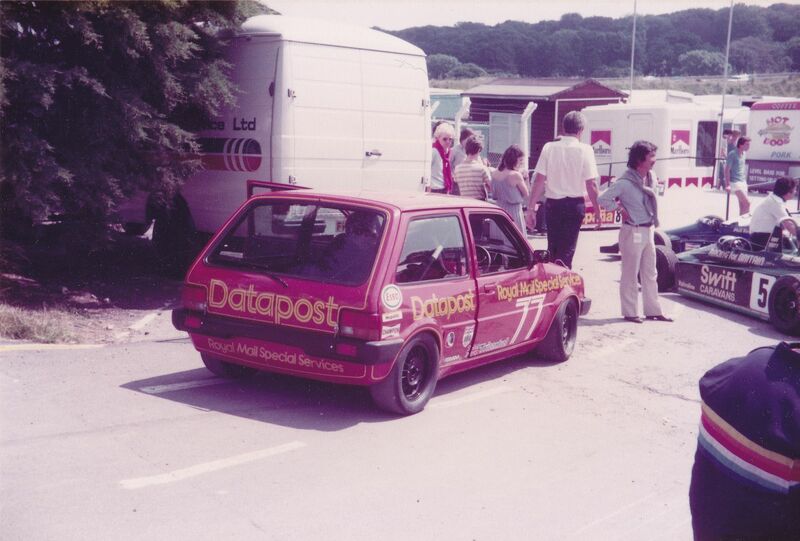 I have lots of photos from the 1980's 'Metro Challenge' years from when my brother Steve Bell was Chris Tyrrell's race mechanic. 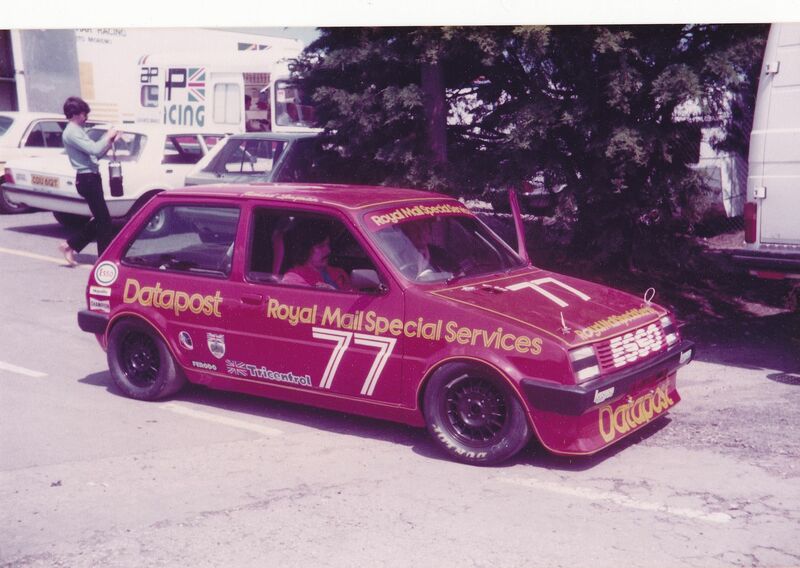 Chris was a former Mini Se7en Champion who switched to racing Metros for a few seasons before returning to Mini 7. 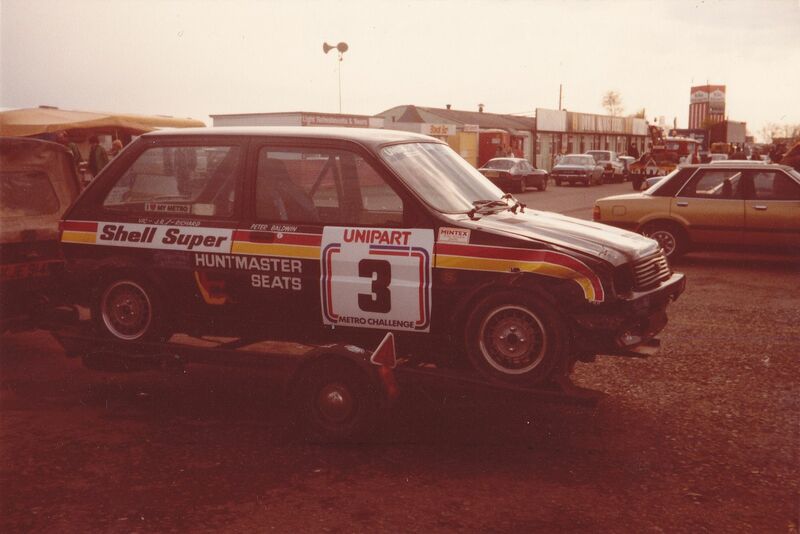 The Metro Challenge replaced the previous Mini 1275GT Challenge race series and was sponsored by Unipart. Last edited by mab01UK; 4 Oct 2014 at 10:41. 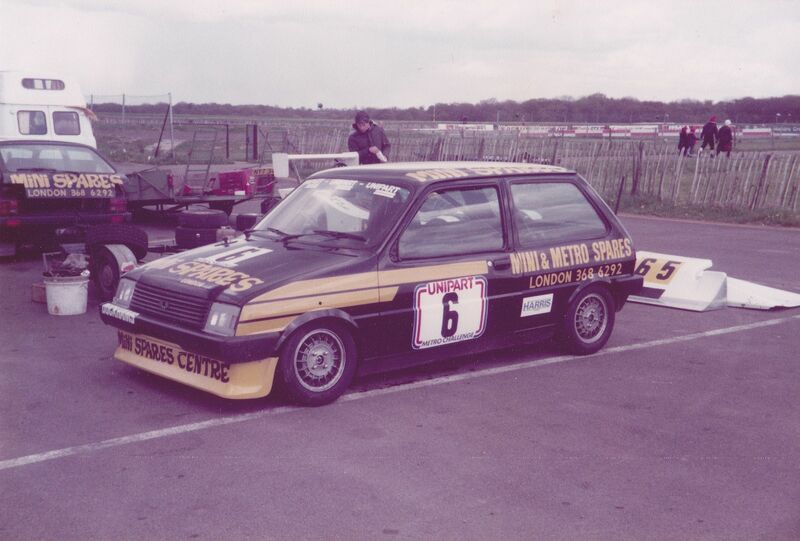 Mini 7 Champion Chris Tyrrell raced in the Metro Challenge for a few seasons. 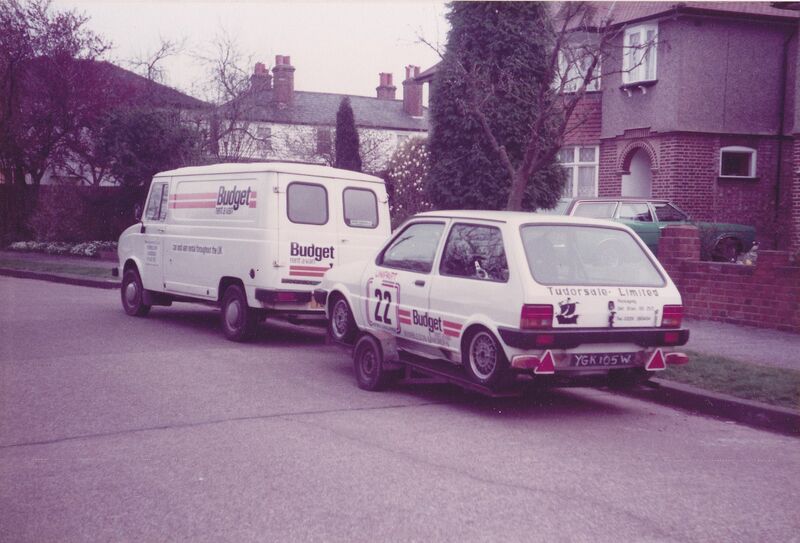 Here are some photos I took of his Metro and battle scarred Mini 7 loaded up to go racing and in the paddock at Brands Hatch & Silverstone. 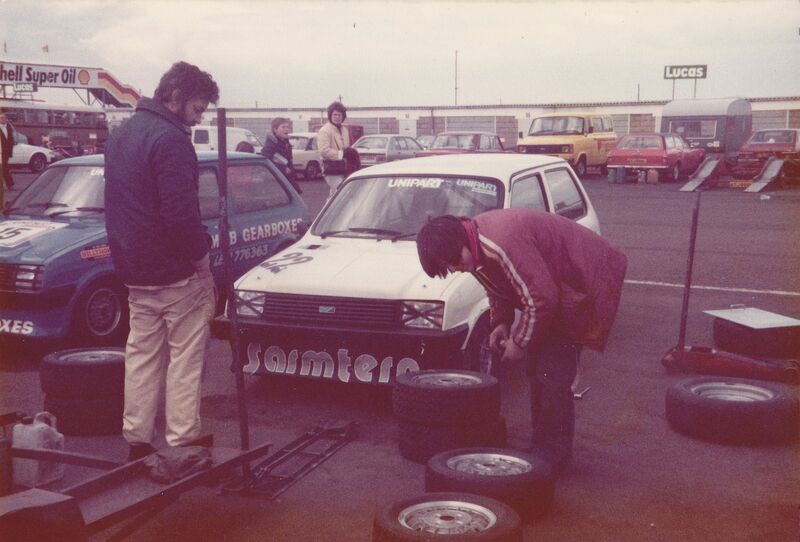 My brother Steve Bell also a future Mini 7 Champion was Chris's race mechanic in the 1980's and both are seen here working on the Metro and Mini. 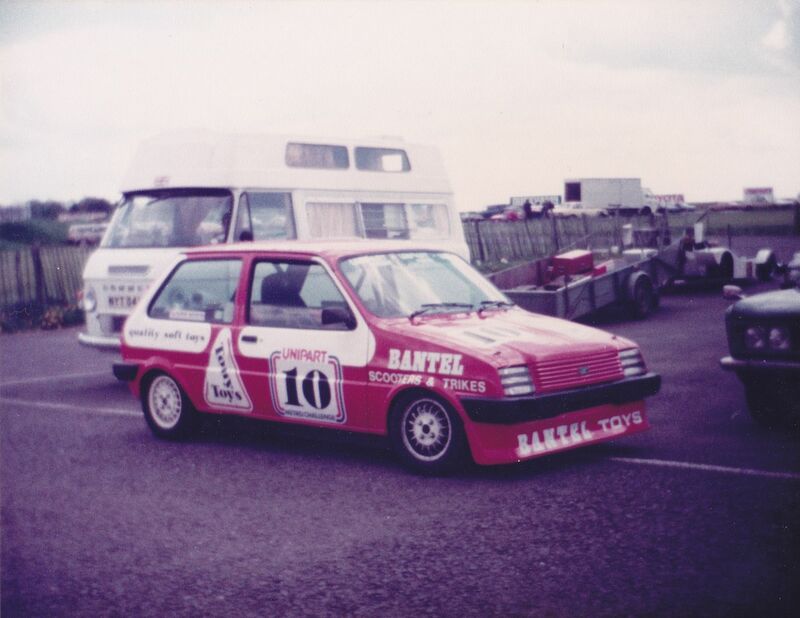 The photos are from different race seasons so the Metro evolved from an Austin to an MG Metro as the championship rules changed when BL wanted to promote the newly introduced MG Metro and Turbo. Last edited by mab01UK; 27 Oct 2014 at 23:08. Now there's a name from my Mini Se7en racing past, Chris Tyrrell! (Sadly, I was down the other end of the grid from him!). 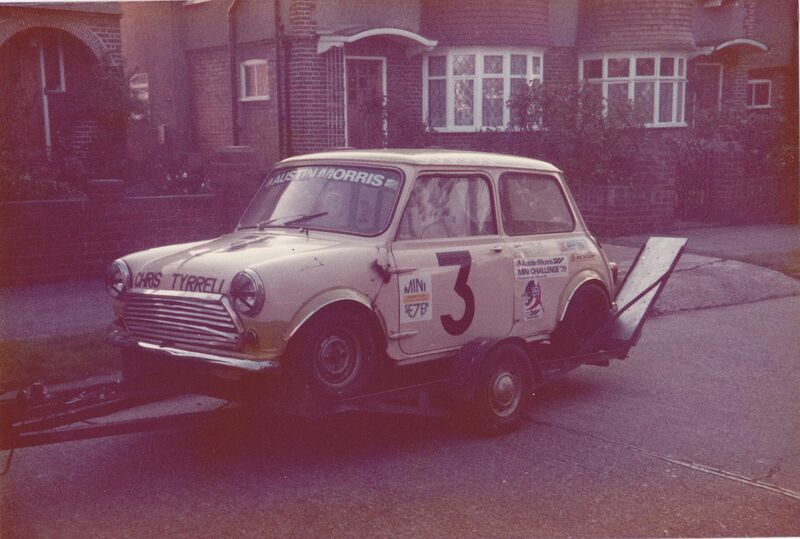 His Mini was never really that tidy, but it was damned quick (not just the car, he could obviously peddle). 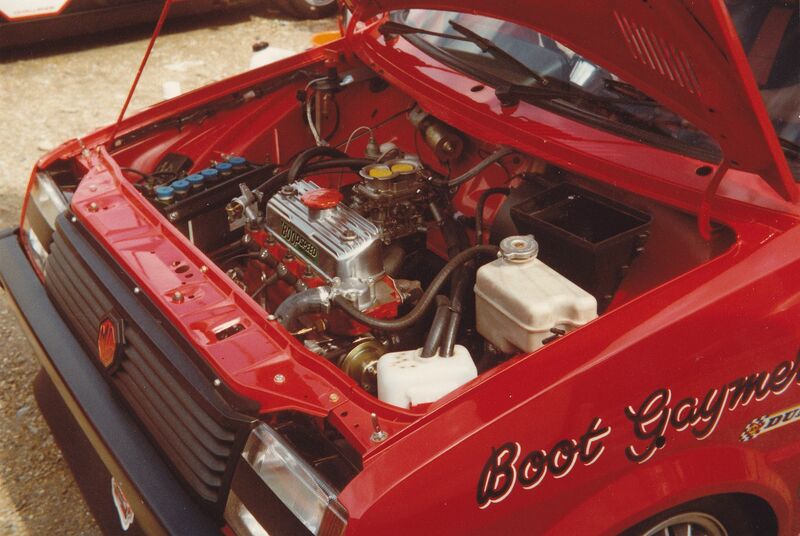 I even bought one of his highly rated cylinder heads for my car, the workmanship in that was excellent. 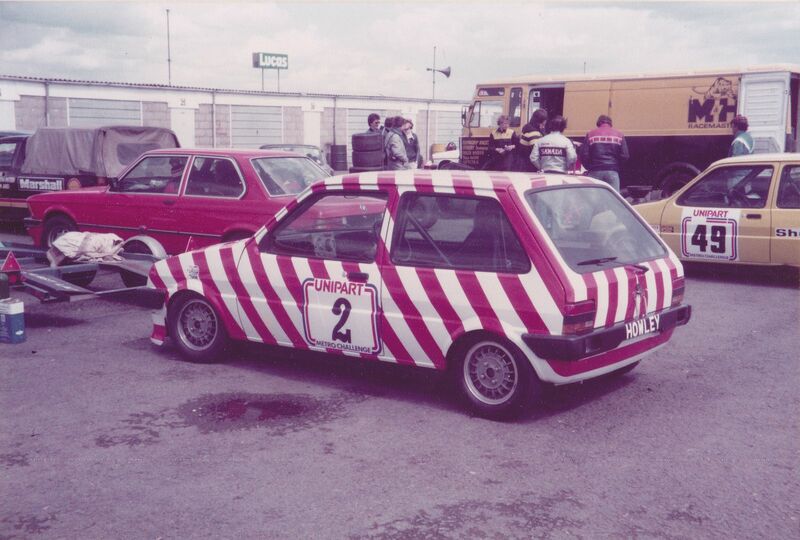 I was also sadly sitting in the Silverstone Woodcote grandstands when he had that career ending accident at the British GP Meeting in his Metro. 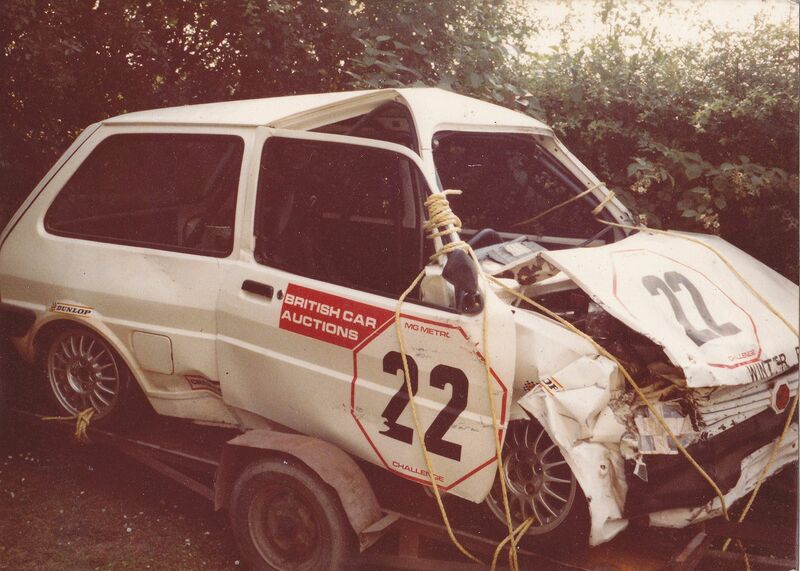 This was his Metro after the Silverstone crash, my late brother Steve was one of the first on the scene and thought Chris was a gonna.....had hit his head hard on the steering wheel and later ended up with a metal plate in his forehead I think. 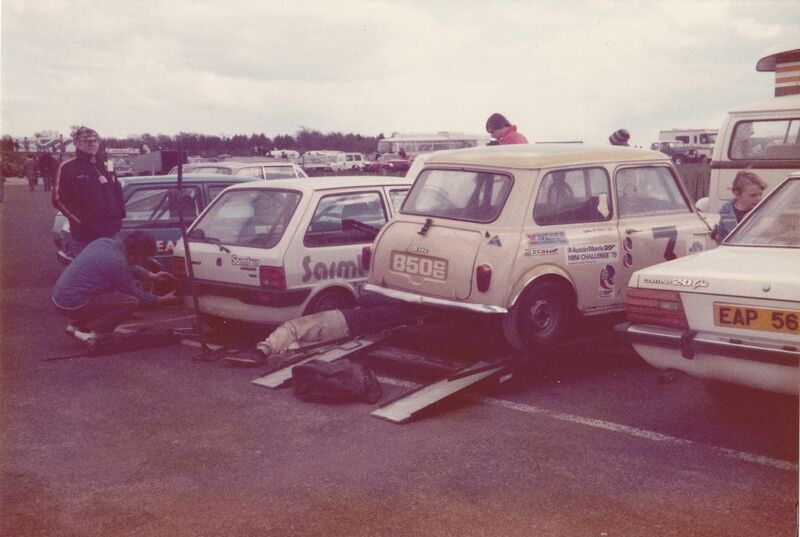 I can't remember if Chris ever raced again, I know he wanted to get back racing in his Mini 7 and he was trying to work out how he could get his doctor to sign him up again for his racing licence, as he had some double vision as a result of the accident. 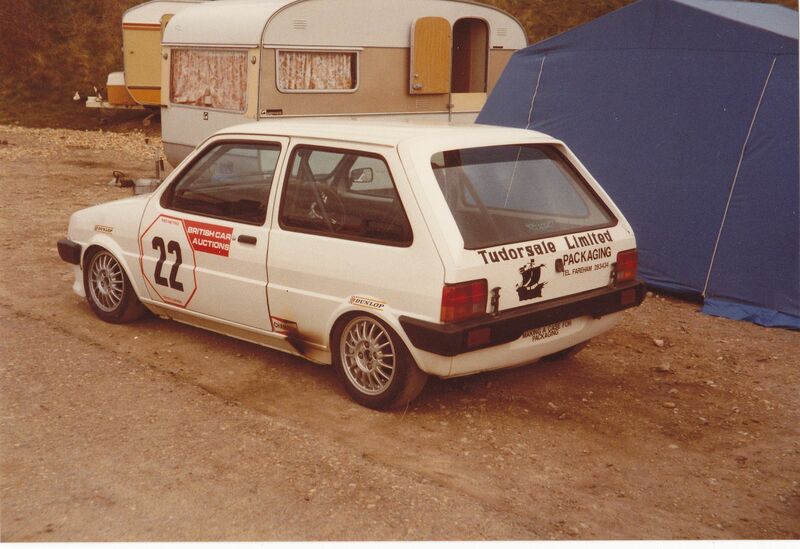 Chris eventually retired to Spain but a few years later he fell ill and Steve and some other drivers paid and organised to get him brought back to the UK for hospital treatment. He died around 2001 or 2002 if memory serves me right? Last edited by mab01UK; 31 Oct 2014 at 23:08. Great pictures, thanks for sharing them. 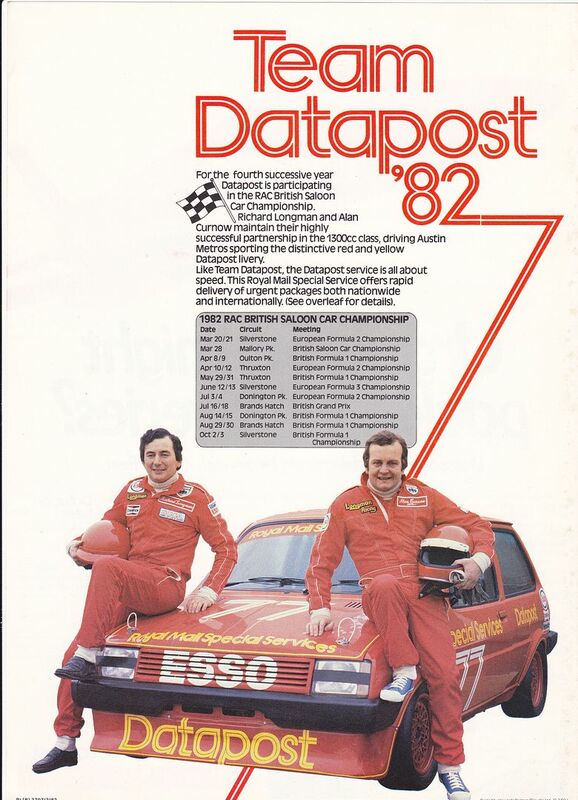 Nigel Gaymers BoopSpeed cars were always very well turned out. 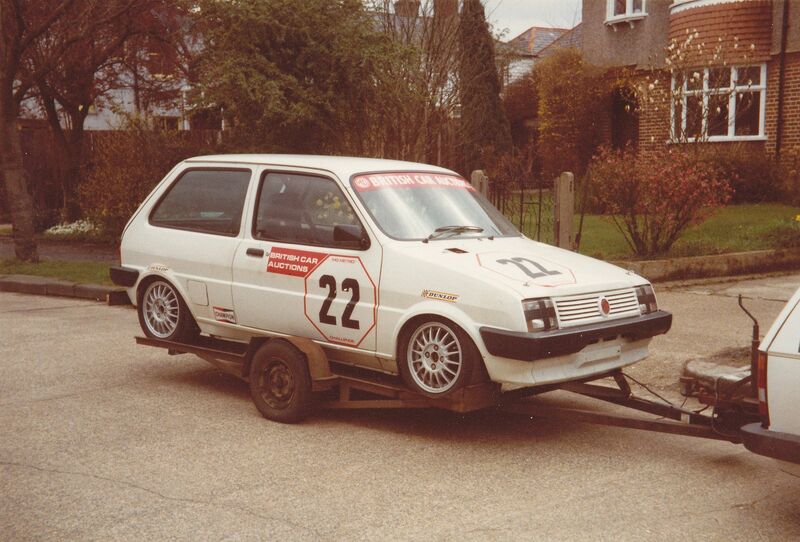 One totally off-topic question: What on earth is the vehicle Peter Baldwin was using to tow his Metro? Mab01UK, I was at that Brands meeting and the silverstone one where Chris crashed. I was only a young lad though! Remember Steve too, a sad loss both of them. 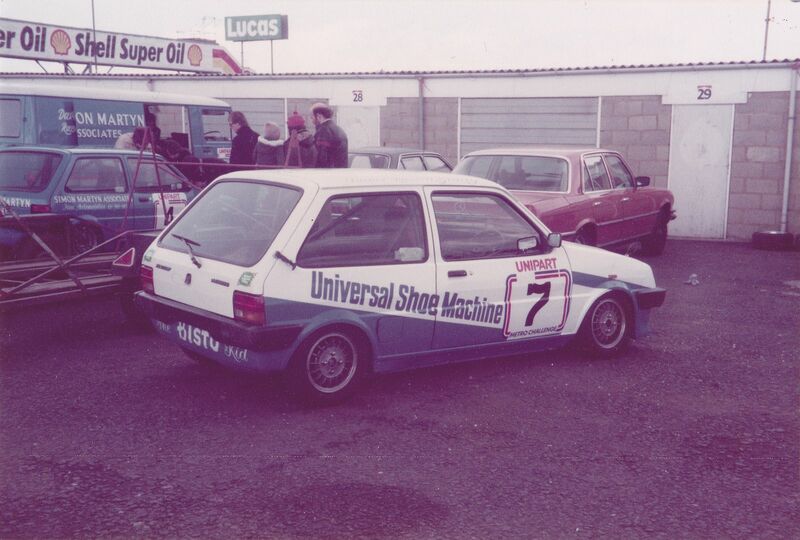 On the front of Chris' metro is Winter Racing, my old man and uncles input into the Metro racing with Chris. 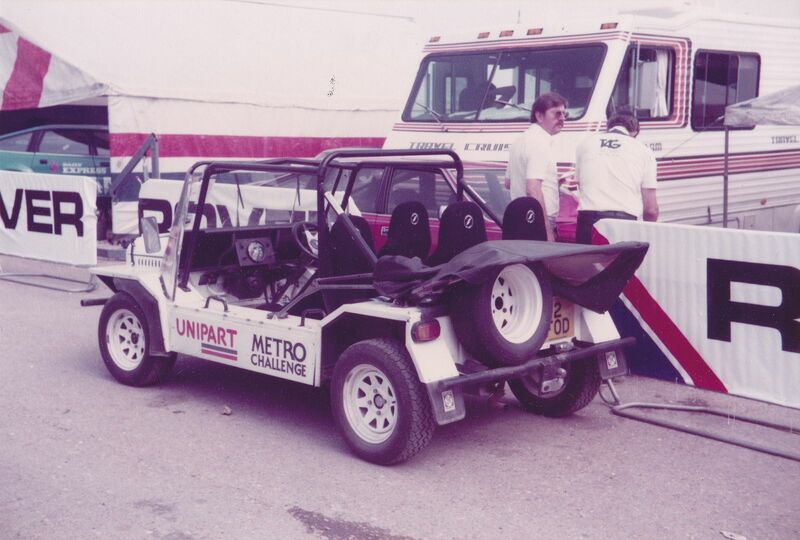 The LRV plated Sierra in the background is my dads. 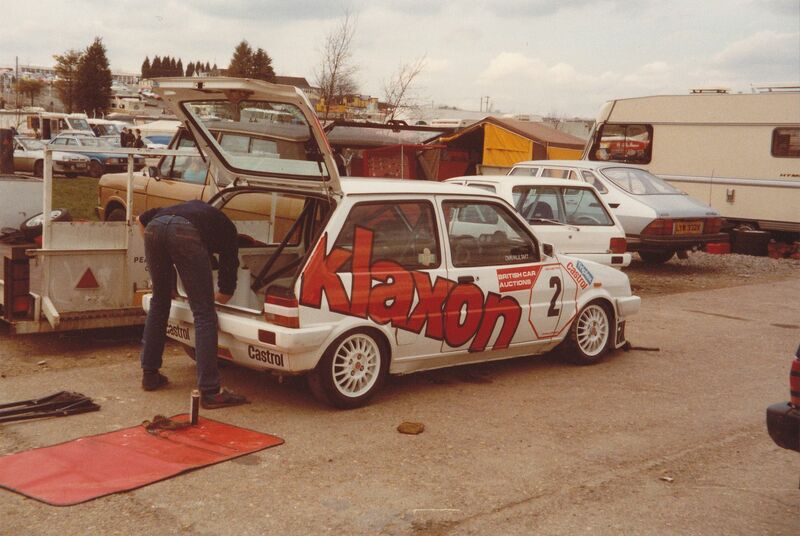 I remember him cutting out the Tudorsale decals on the tailgate by hand from fablon! 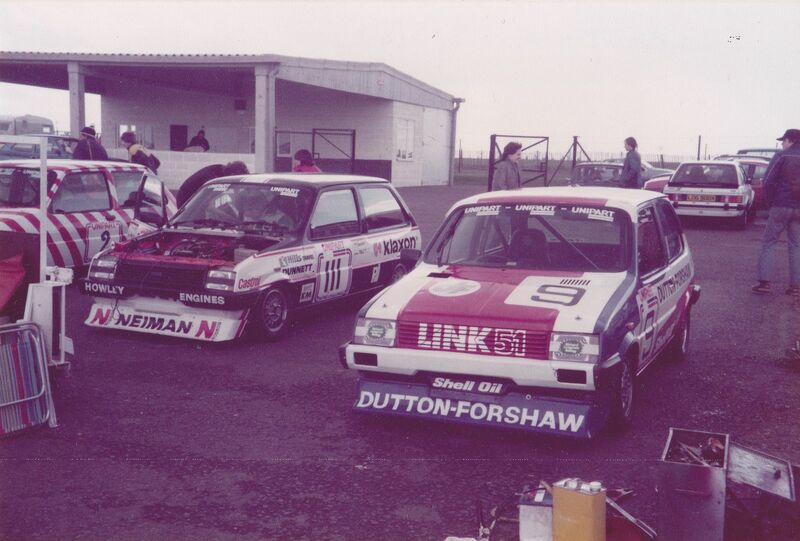 Some great pics, remember Malcolm Harrison's cars, also him invading the hotel room with a soda squirter at one awards dinner too! 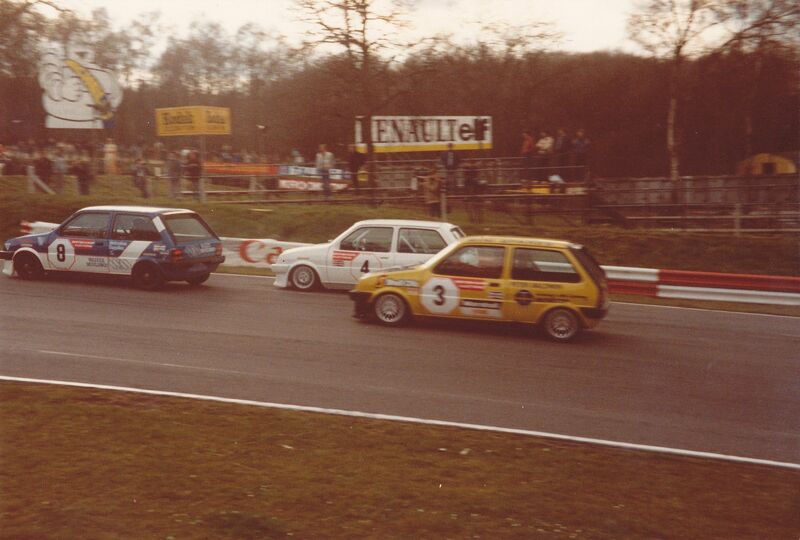 So, you may well have seen me at Brands, I was only about 3ft high though! My dad has a VHS tape of some cine film shot at that meeting. 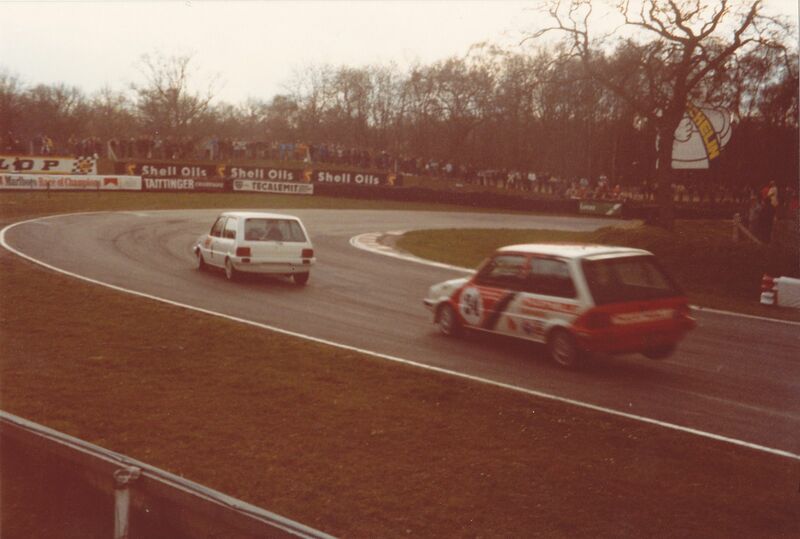 As an interesting aside, first ever metro challenge meeting at brands, I believe Chris stuck the car on the front row during qualifying, then promptly stuck it in the barriers...front end pulled out with a land rover and a post in the paddock, it went on to the grid for the race...they paid start money in those days you see! Could it be a Marina pickup? Great to see the Metro photos, reminds me of seeing them at Ingliston. 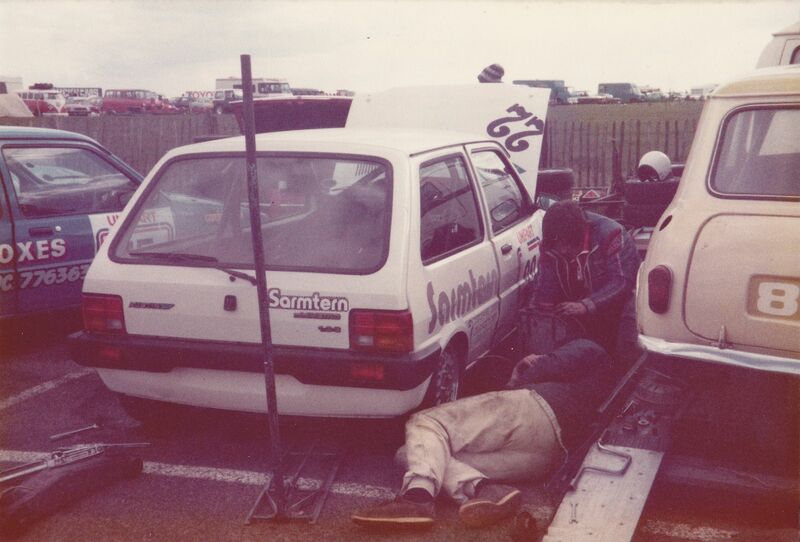 I was also at that first Metro Challenge race at Brands......I have photos of my brother Steve repairing the qualifying damage in the paddock......I will dig them out and scan/post them on here. If you have any way of transferring that VHS tape onto a dvd I would love to have a copy? OK, thanks, so a Marina pick up with some sort of canvas covering over the bed? 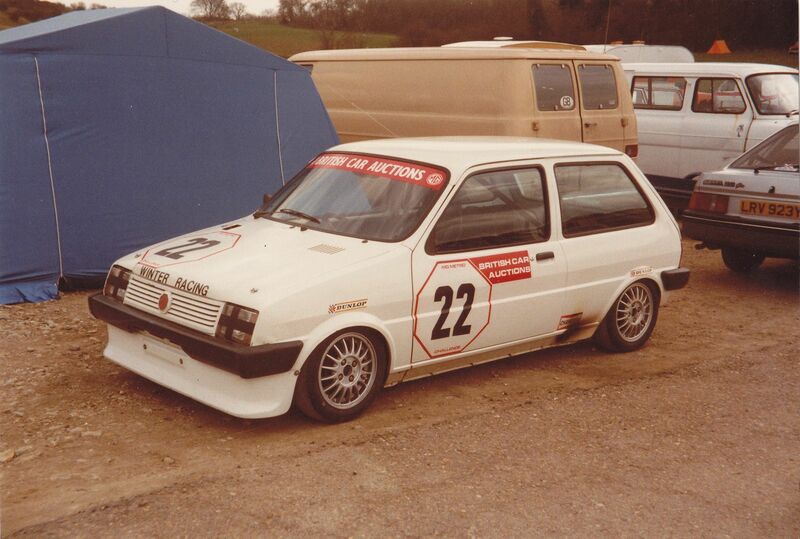 That works I suppose as Peter was working for Marshalls of Cambridge (a huge Austin-Rover dealership) at the time. Funny, I remember writing a letter to Peter to Marshalls' address as a boy but got a return to sender from the PO!! Never got to the bottom of that one. 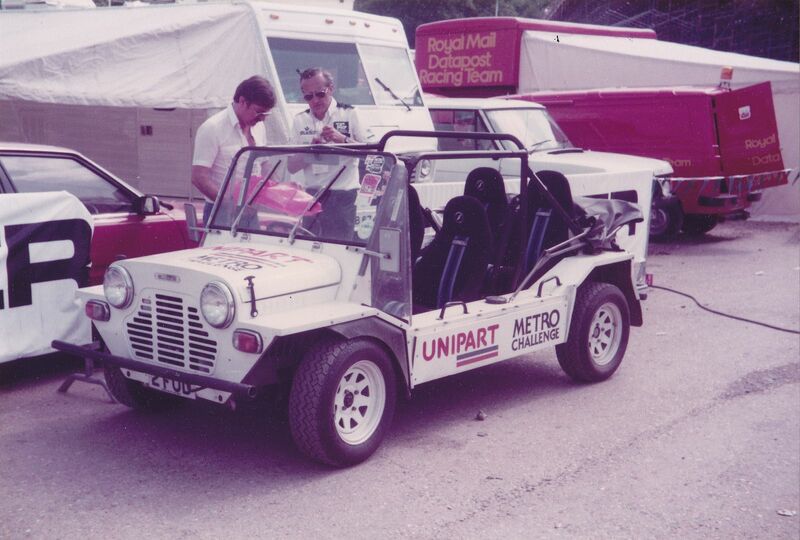 Found a couple of photos I took in the paddock at the Brands Hatch British Grand Prix (17th July 1982) of the Unipart Metro Challenge Mini Moke support vehicle which may be of interest. 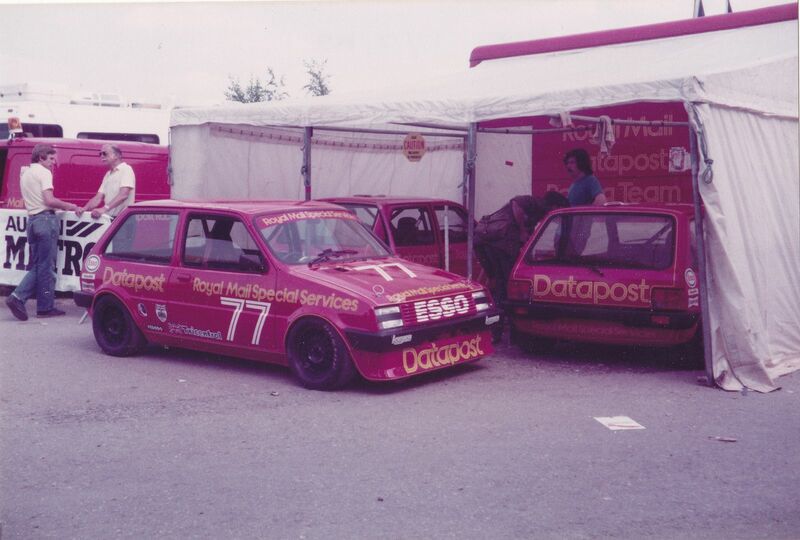 (The Datapost Metros racing on the day in the GP support races were the Group A turbo cars running in the RAC British Saloon Car Championship). 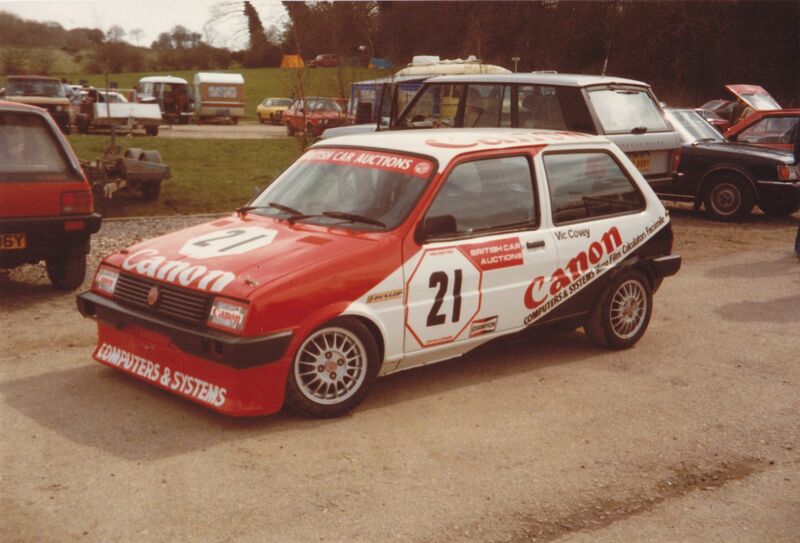 I have been guided to this thread by mab01uk on the Mini Forum as I have a keen interest in the Metro Challenge. The Challenge Moke photos show John Foden, (sporting a very dodgy moustache), who was the Metro Challenge co-ordinator at the time. 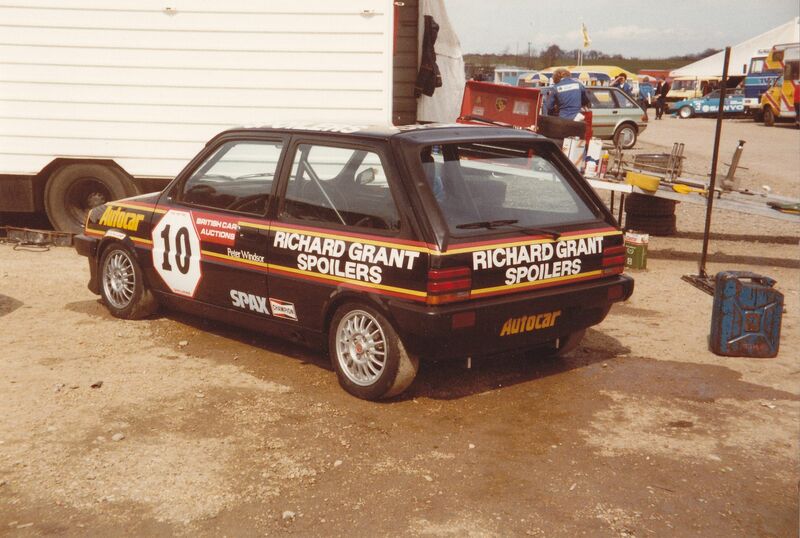 Peter Windsor actually raced in the series, (the Richard Grant car in your photos), not sure if it was that year though. 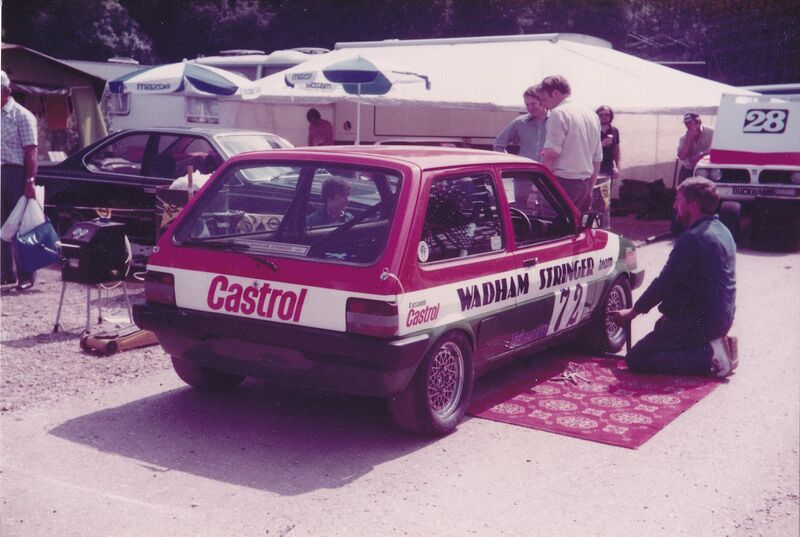 I'm fairly sure the Longman/Curnow BTC Metro's were normally aspirated, not turbo'd, as was the Castrol/Wadham Stringer car of Roger Saunders.